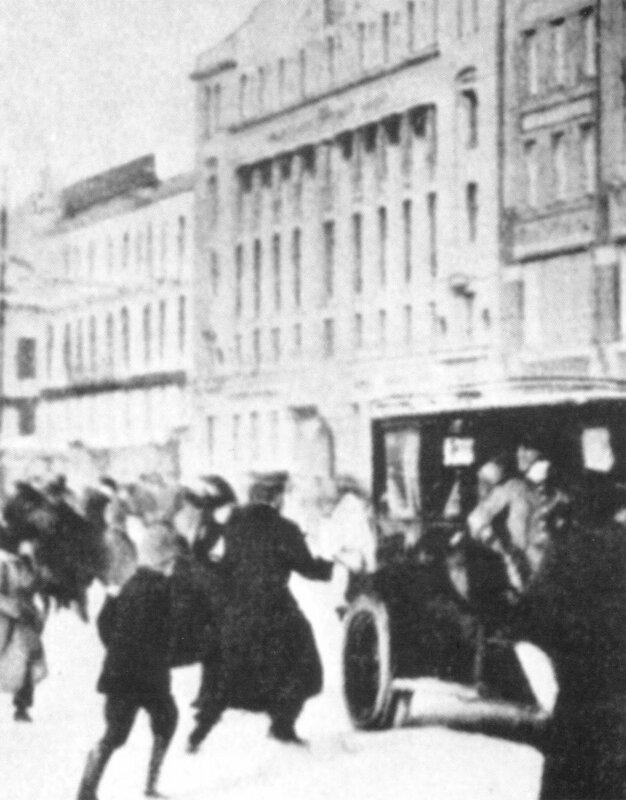 Scene of the Food riots in Petrograd. France: Tubercular Ex-Soldiers Flag Day. Britain: War Office decides to form 9 tank battalions (total of 1,000 tanks). France: General d’Esperey (Northern Army Group) vainly asks Nivelle to let him attack retreating Germans (and on March 6 again), asks for tanks on March 9. Aisne: French advance between rivers Oisne and Aisne, south of Mouvron. Somme: British 8th Division (1,137 casualties) captures Bouchavesnes with 217 PoWs and repels six counter-attacks. Verdun: German 28th Division penetrates Caurieres Wood. Rumania: Rumanians troops bombard near Calieni, but lose Magyaros Ridge on March 8 and fail to regain it on March 10 and 28. Isonzo: Italians form Gorizia Defence Command (3 corps) for Mt Kuk to Mt Santo sector under General Capello, Second Army reduced to IV Corps because of this. Austrian attack east of Gorizia repulsed. Italians occupy heights in Costabella Mountains. Fighting in the Dolomites.